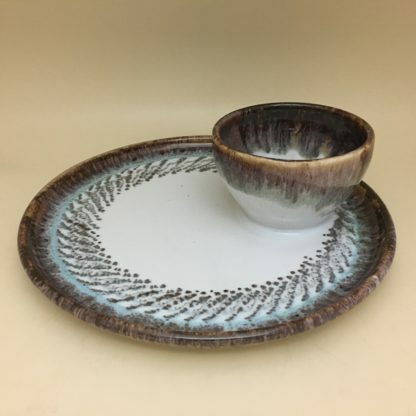 Call it a soup and sandwich plate or a large chip and dip. 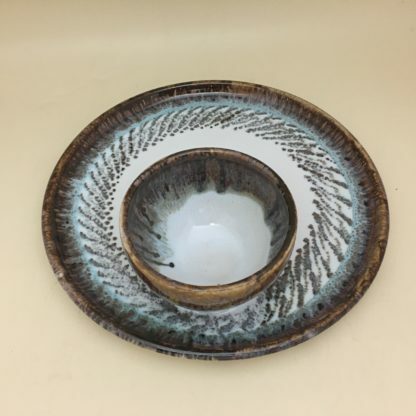 No matter what you call it, this dish will add beauty to your next party or meal. 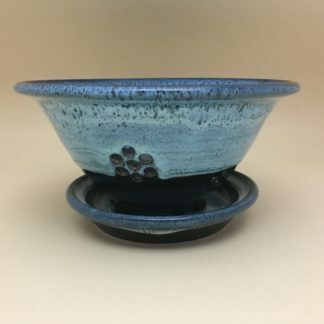 Oven, dishwasher, and microwave safe. 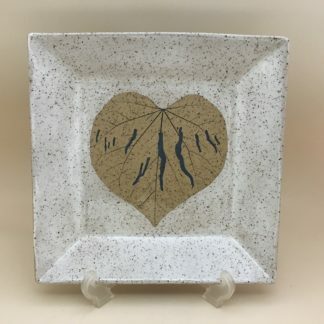 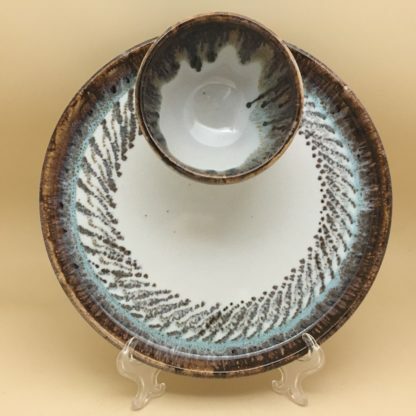 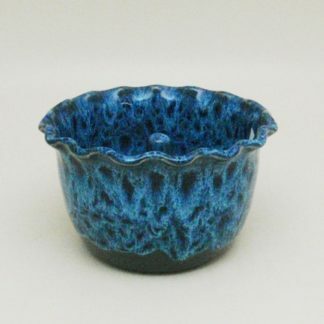 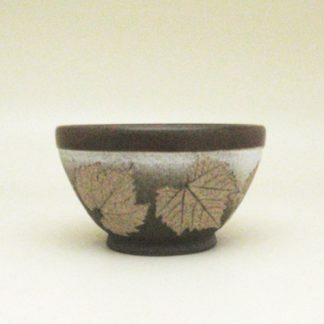 Plate measures 10-1/2″ wide, attached bowl measures 4-1/4 ” wide x 3″ tall. 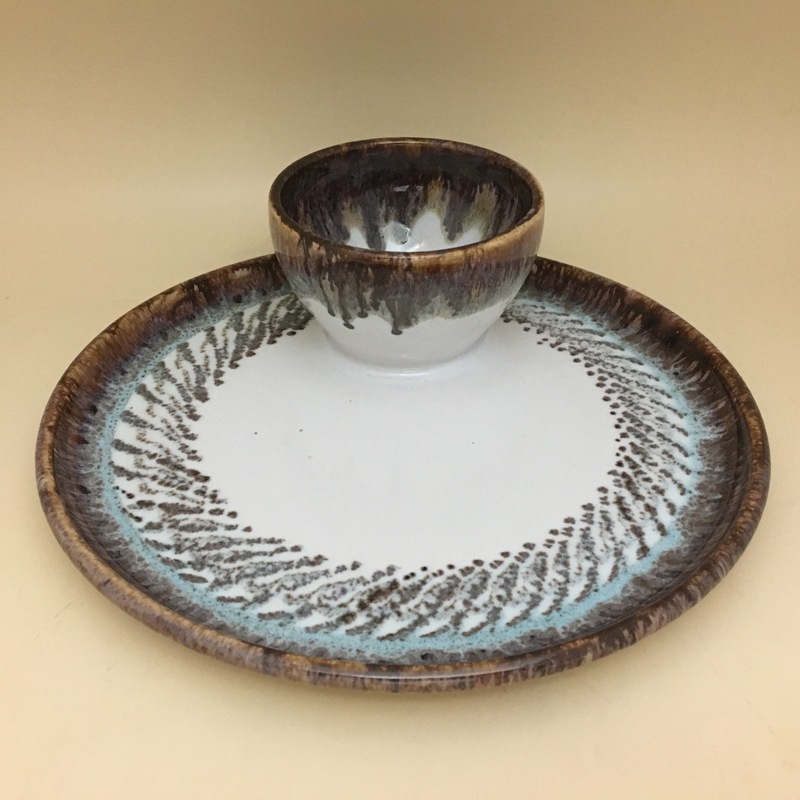 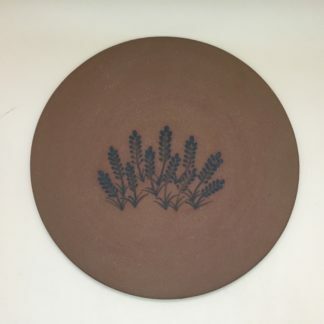 Glazed brown and blue over a white underglaze. Design may vary slightly.